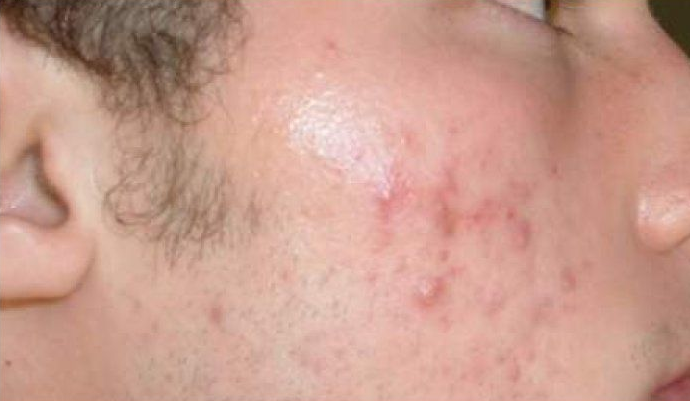 Acne is a condition that is often viewed as difficult to treat by many patients. 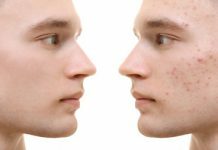 In truth, many cases of acne or sudden outbreaks can be easily treated or controlled in just one or two treatment sessions. How is this possible? Doesn’t acne require long-term medication and treatment? The short answer to this is both yes and no. 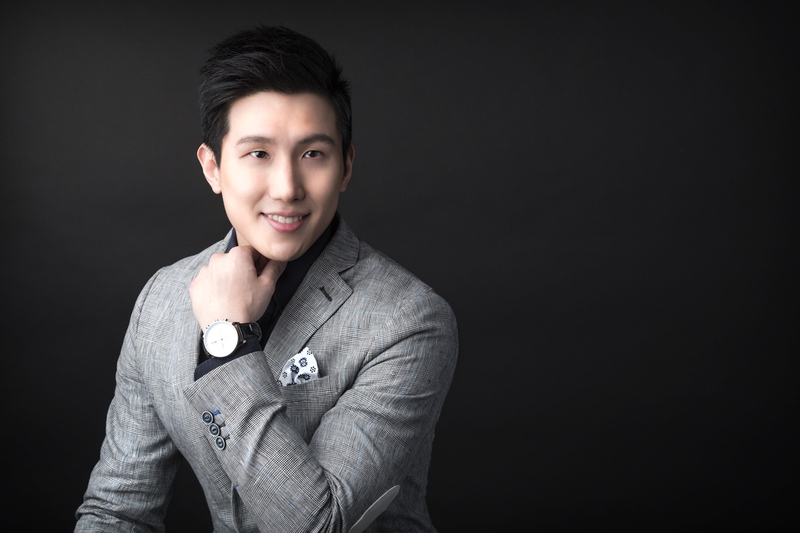 It highly depends on the TIMING of the treatment and the current condition of acne. If your outbreak is within the last 2 days, the chances of successful quick treatment are much higher. Here are a few medically PROVEN techniques that treat acne quickly. Taking less than 5 minutes, a single injection into the culprit pimple can reduce pain, swelling and inflammation. This steroid injection is most effective for cystic acne. 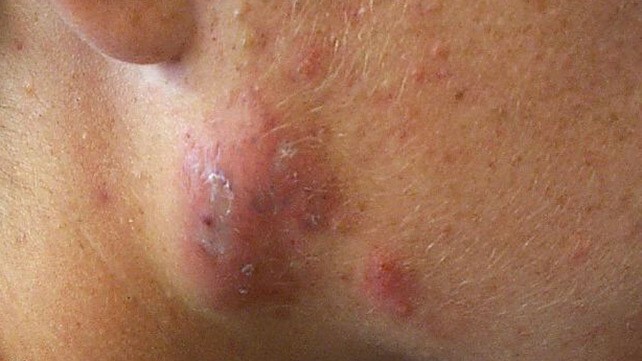 Cystic Acne – Large, inflamed and painful nodules. Filled with pus. It takes an average of just 1-2 days to see an effect. Comparatively, cystic acne nodules like this can usually take up to 2-3 weeks to heal on its own. Even if it heals on its own, it usually causes scarring. By treating cystic acne early, these injections help to greatly reduce the chances of scarring. The estimated cost for 1 spot is $60 onwards and usually, only 1 treatment is needed. These steroid injections work by their anti-inflammatory and immunosuppressive effects. They are also used for keloids and alopecia areata. There is a small risk of skin atrophy when used in excessive amounts. Go to a skilled doctor who is experienced in this procedure to ensure safety and effectiveness. Taking only 15 minutes, this non-invasive phototherapy treatment can calm the skin down by down-regulating the inflammatory process. 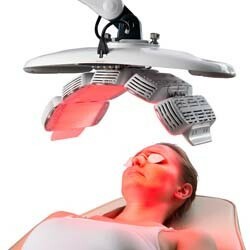 This treatment is able to treat all forms of acne. It is particularly useful for milder but more widespread areas of acne. 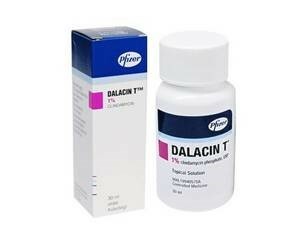 Antibiotic creams such as Dalacin T contain Clindamycin which combats the acne-causing bacteria. Affordably priced less than $50 per bottle, this twice daily cream provides a good home-based follow-up treatment after intralesional steroid injection. This usually takes 3-5 days for visible results. The results are gradual as compared to the first 2 treatments but faster if it is combined with the treatments mentioned above. Generally very safe, rare side-effects are confined to slight skin dryness. What about severe long-term acne? Acne is considered severe when there are more than 5 cystic acne spots, more than 100 comedones or more than 125 pimples. The treatment angle and strategies for severe, long-term acne is very different from early onset acne. Here’s an example of a patient I treated with severe, long-term acne. Note the difference in the treatment programme. Jennifer is a busy 32-year-old female corporate sales executive who is tired of using thick make-up to conceal her severe cystic acne. Her stressful job demands include late nights and fortnightly overseas travel to temperate countries. She has a tendency to scar easily – Background of boxcar and ice-pick acne scarring over cheeks. She tends to get acne flares before her period and during stressful times in her job. She is already using Clindoxyl (antibiotics) from the pharmacy. Jennifer wants a comprehensive and one-stop solution to her acne woes. To achieve this, I factored her medical history, work and lifestyle demands into a precise treatment plan. Efficient – her busy work schedule only allows her to have monthly treatment sessions of no longer than 30 minutes each. Compatible with her lifestyle – she needs treatments with minimal downtime (skin redness and peeling not more than 1 day) as she has to meet clients on a daily basis. Preventive – as she has a tendency to scar easily, she cannot afford to have frequent, recurrent acne flares. After rescuing your skin, you should focus on good long-term control of acne to prevent scar formation. 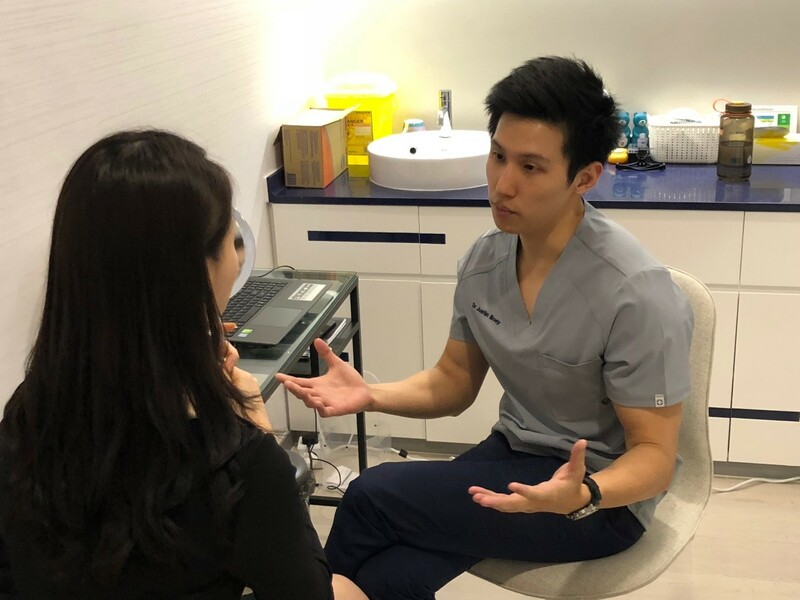 Examples of long-term care for acne include chemical peels, pico laser and hydrafacial to control oil production and reduce acne-causing bacteria. When it comes to acne scars, prevention is better than cure. Up to 20% of Acne sufferers have Severe Acne leading to permanent acne scarring. The leading cause? LATE TREATMENT! Read my article on acne scars here to find out more. 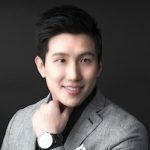 The good news is that if you approach acne treatment early and is compliant with treatment, acne has a high success rate of complete recovery.